Morris & Erskine, the architectural firm of George Spencer Morris (1867-1922) and Richard Erskine (born 1882) was responsible for designing the building that would house the Moore School. 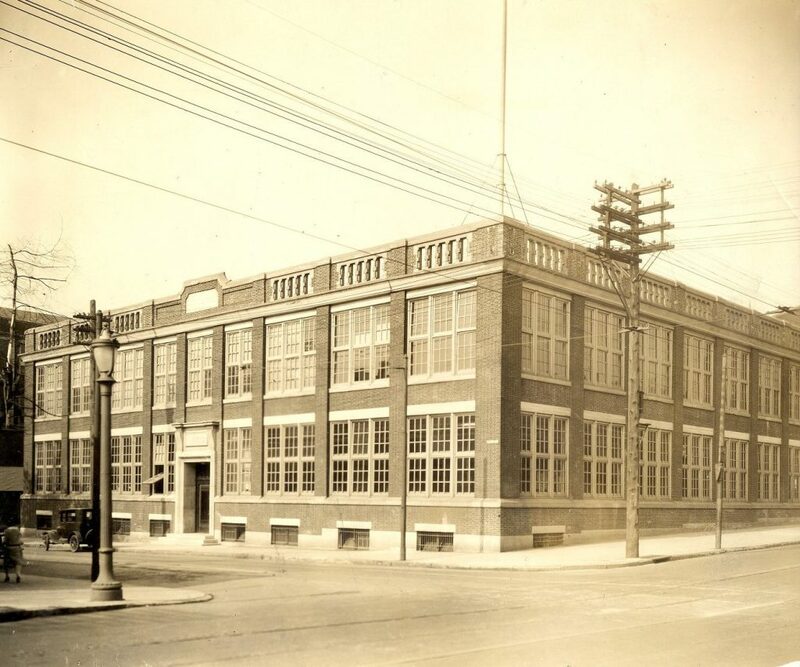 When Morris & Erskine designed the building, however, it was intended as a factory for musical instruments. Architects Paul P. Cret and, later, Alfred Bendiner altered the building for use as the Moore School. Both Morris and Erskine were Philadelphia natives, but neither man had an affiliation with the University of Pennsylvania. Morris was educated at the Drexel Institute and the Pennsylvania Academy of Fine Arts; he apprenticed with Addison Hutton, Cope & Stewardson and Walter Smedley before forming his first partnership with William S. Vaux, Jr. Four years after that partnership ended, Morris in 1909 joined with Erskine. Erskine received his architectural education from the Drexel Institute and the T-Square Club Atelier; he worked for the firm of Morris & Vaux before becoming Morris’s partner. Erskine continued to use the firm name of Morris & Erskine even after Morris’ death in 1922. Morris & Erskine carried out many residential projects in New Jersey as well as a number of institutional projects, including Friends Hospital on Roosevelt Boulevard in Philadelphia.